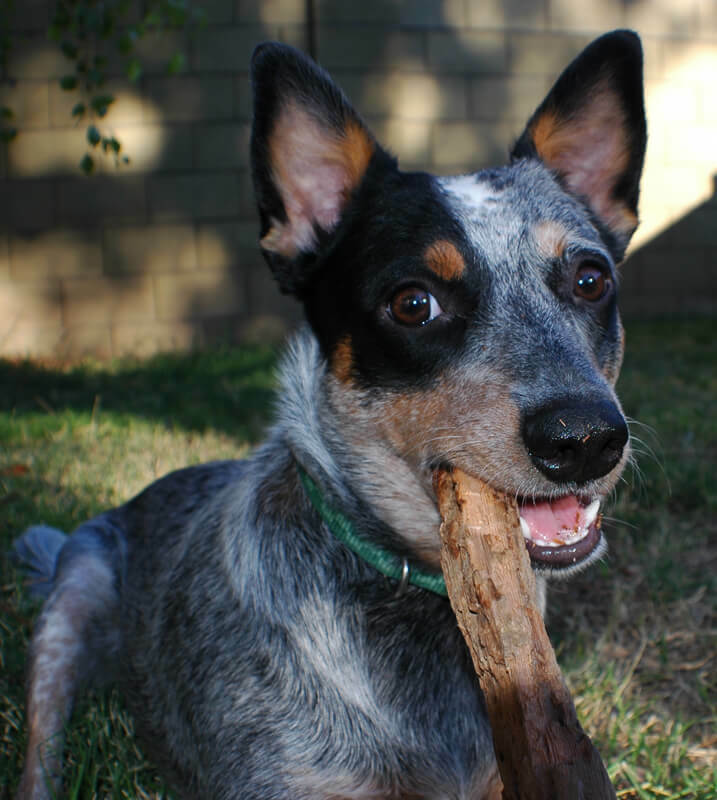 Wiley is an Australian Cattle Dog. These dogs are specifically bred to be outdoors, to have superior endurance and tolerance for extreme conditions. In short, she’s the perfect candidate for a hiking companion. 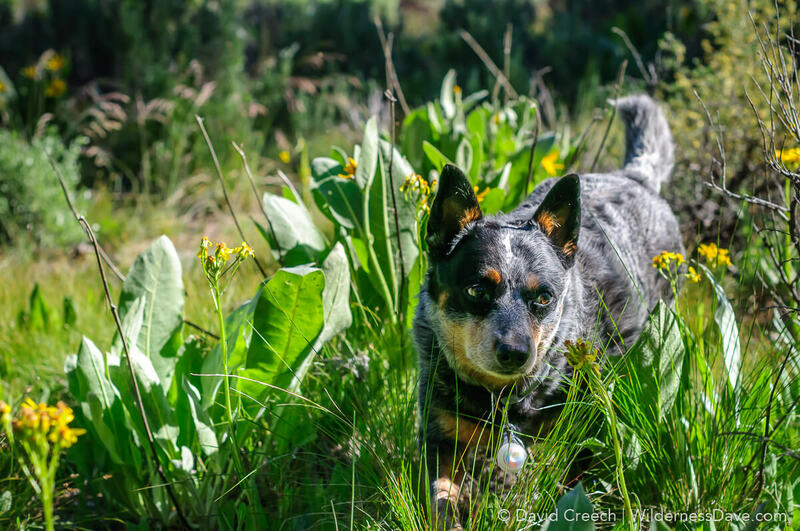 The breed was developed on the cattle ranches of 19th century Australia where the long days, harsh working conditions and extreme elements made it difficult for ranchers to find a proper cattle dog among the existing breeds. Ranchers played with crossing the native Dingos with existing cattle breeds. From 1840 to 1870 Thomas Hall of New South Wales bred imported Blue Smooth highland Collies with the native Dingo and began to see the traits he desired. He continued to breed pure Dingo into the mix and experimented with these breeds until his death in 1870. These were the original Australian Cattle Dogs, at the time called, Hall’s Heelers. Tom Bently acquired a dog that was said to be one of Hall’s pure strain. Bently’s Dog (as he was known) was an incredibly strong worker and a beautifully built dog. Bently’s Dog was reportedly heavily studded out in an attempt to propagate these desirable qualities. The characteristic white blaze on the forehead and the black tail-root spot commonly seen in the blues is said to be a throwback to Bently’s Dog. Hall’s Heelers (later called “Blue Heelers” or “Queensland Heelers”) were very popular, but there was still some experimentation going on. Sometime after 1870, the Black and Tan Kelpie was crossed into the breed resulting in the tan points seen in Blues and a deeper red instead of black in the Red Heelers. This last infusion set the breed type and is the direct blood descendant of the Australian Cattle Dog breed we have today. My Heeler found me. She was a stray, discovered and taken in by local neighborhood kids who proceeded to take the dog door-to-door in search of her rightful owner. When at my door, as I insisted she wasn’t mine and I didn’t know the owner, they explained that they only had one day to find the owner. The girls who found the dog were in the process of moving and if they did not find an owner, they would be forced to take her to the Humane Society. They left my house, but I couldn’t stomach the idea of this dog going to her potential death. I chased the kids down a few houses away and explained to them that IF they did not find the owner before they had to leave town that I would take her and continue the search. Well, they never found the owner. I put up signs, walked her through several neighborhoods and asked around…but could find no one looking for a missing Heeler. After a couple of weeks, I began to hope that I never would find her original owners. 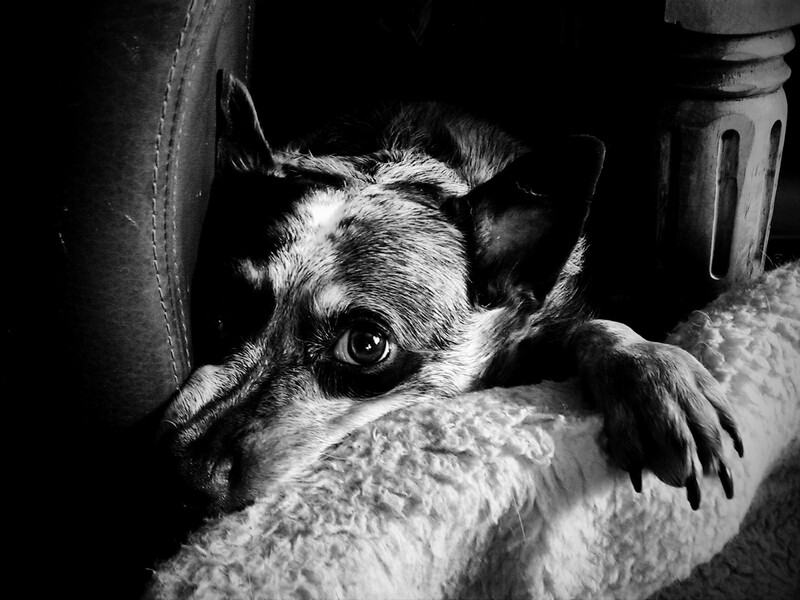 She and I had bonded and, as I found out, bonding with a Cattle Dog is a lifetime commitment. I took Wiley hiking a couple of times when she was younger, but she had some minor hip problems when I first got her limiting our excursions. I also was going through some disparaging medical issues that had put a major damper on my outdoor activities. So, Wiley never got a chance to be the rugged, outdoor specimen that she should have been. But I’m trying to fix that. She’s inexperienced, she’s a little fat and she’s about as graceful as a three-legged Hippo but she’s got the genetics to be a brilliant trail dog and I want to give her a chance. So today we began her reintroduction to the outdoors. May she somehow find her roots and become a noble, hardened, tireless trail dog as she was meant to be.